Why is Kitchen Shack different? Everyone knows the kitchen is the “heart of the home”. It is the beat of cooking dinners surrounded by family and friends and then sharing a meal and coming together. This is why we know this is one of the most important areas in any home and therefore needs to be designed by a professional to make it work for you. Most Melbourne customers see Kitchen Shack as a brand that sells ready to assemble kitchens (flat pack or diy kitchens other common names). But there are actually a lot more that the average customer is not aware of that Kitchen Shack offers. Below are a number of services we offer superior to others to help you with your DIY Kitchen journey. FULLY ASSEMBLED kitchens that will save you time and money. FREE In-Store Design and on the spot quotation. Offer recommended qualified Installers and trades to fit your kitchen including plumber, electrician, tiler, plasterer etc. One-on-one service with Kitchen Shack Designer all the way through your project. We believe at Kitchen Shack that you should spend your time searching for ideas, colours, materials and all the new items to replace the old ones and to have more time for that you should choose fully assembled kitchens. That’s where our difference is – no wasting time on assembling flat pack cabinets, our kitchens are provided to you fully assembled but at the low flat pack prices. You will then have more money to spend on the new items for your kitchen to make it look fantastic or more money in your bank account! Not only do we provide fully assembled we also provide a free in-store professional design and on the spot quote where you can see your kitchen come to life in 3D. We also have recommended qualified installers and trades who can professionally install so you won’t waste your time and energy. This will provide peace of mind that it will all work out well, but most importantly you will be cooking in your new kitchen quicker which we all know disruption to the home especially the cooking space, can be very annoying. Another important service is our special one-on-one service throughout your kitchen project. You can speak with the same Kitchen Designer who is there to ensure your kitchen project goes as smoothly as possible – that offers peace of mind. 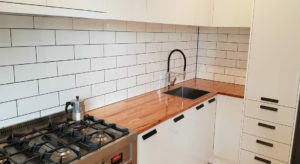 So you can still DIY your kitchen but save time which we all know is money! You can still organise your own flooring, painting, tiling or splashback but most importantly you will have those extra dollars spare to choose a more expensive tile – one that you really love! 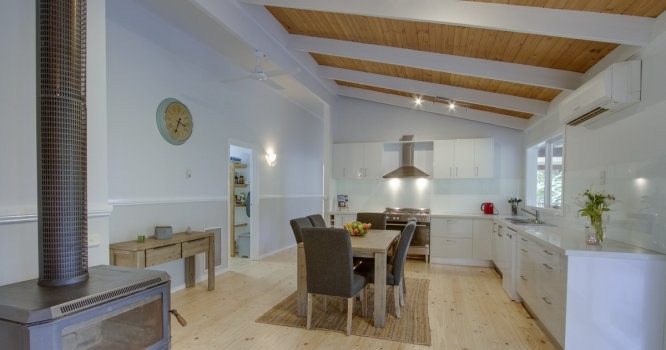 So why not choose the financially more viable option and leave some $’s in your pocket for all the extras – that’s why Kitchen Shack is different – saving you money, time and offering one on one service for peace of mind for your kitchen renovation.